AmpSurf™ is a non-profit organization that helps amputees find freedom on the water! It was established to promote, inspire, educate and rehabilitate (PIER™) adaptive surfing and other outdoor activities. Dana Cummings, Executive Director of Ampsurf, co-founded the organization in 2003 to teach adaptive surfing. 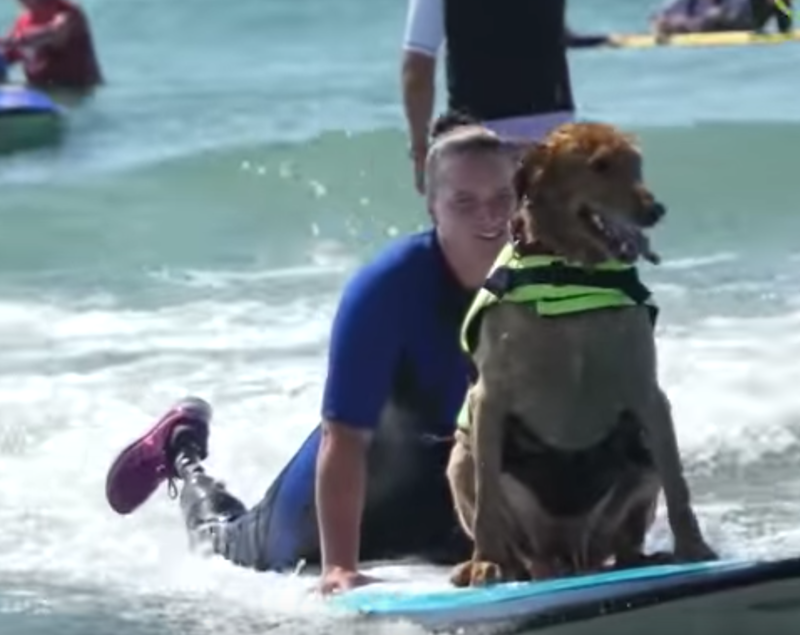 Ampsurf has helped more than 200 disabled, Veteran and non-veteran, to surf. “There is an ongoing, great need to assist those who are serving our country who have had disabling injuries and those who are just disabled. The ocean, with its quiet healing power, and surfing can restore that person in many positive ways.” Not all of the participants are amputees, as some suffer Post-Traumatic Stress Disorder or were burned while serving their country, but the goal of the program is the same – to help people who have injuries reconnect with themselves and their lives! This video was produced by Lucia Nazzaro and shot/edited by Heather Holloway.